Here's a list of answers to questions we frequently get asked about our business ecards. I'm new to e-cards! What do I need to know? There are 3 things needed to send our e-cards. First, you need the e-card itself (see our E-Card Products). Second, it needs to be hosted online. Our Ecard Hosting Service is included (for 5000 or less recipients) or it can be handled by you. Lastly, it needs to be delivered to your recipients via e-mail. Delivery can be handled by you or us (learn about our Ecard Delivery Service). Yes. To see what our ecards look like in an email, send yourself a sample. 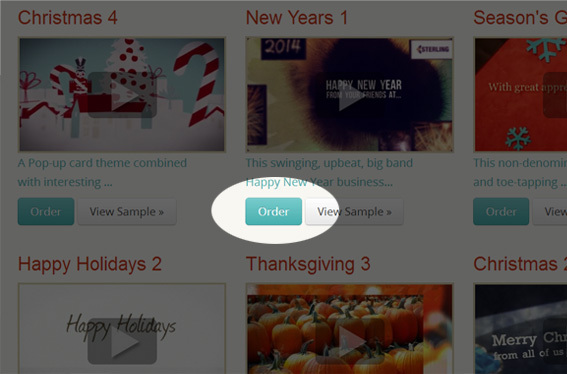 On each page below our ecard templates, you'll see a big orange "Send yourself a sample..." button. What is an ecard and how do they work? An "ecard" is short for "electronic card". It is an electronic or digital version of a print greeting card. Ecards began appearing in the mid-90s as an efficient, more cost-effective alternative to traditional print cards. They contain all of the hallmarks of a typical greeting card: a warm message, professional graphics or photos, and the ability to send to a recipient of your choice. However, rather than being physically mailed like a print card, ecards are mailed electronically, or emailed - at a fraction of the cost to the environment and your wallet. It's simple. Pick a template; provide your logo, optional photos and text; and let us handle the rest. We'll guide you through every step along the way. Learn more about it here. How long until I get my ecard? After we receive both your payment and materials, you should receive an initial version of your ecard about 24-hours later. When you promptly review prototypes and provide feedback (e.g revisions and sign-off), we can turnaround your ecard in 48-hours. In the late-Fall and during other times of high-volume, production timelines may be extended. We have a Fast-Lane Pass if you are in a hurry! How long can I use the ecard? You are only permitted to use the ecard for a specific term. This term for holiday ecards differs from non-holiday ecards. Holiday ecards (e.g. Thanksgiving, Christmas, Hanukkah, New Year's, Easter, 4th of July, Canada Day) can only be used for the upcoming instance of that occasion. Non-holiday ecards (e.g. Birthday, Thank You, Recognition, Congratulations, Announcements) can be used for 1-year. You can reuse your ecard for another term by paying a re-licensing fee equal to 50% of the current price. Can the photos in the ecard be changed? Yes. You can either: use the photos that appear in the template; supply your own photos; choose photos from ShutterStock.com; or a combination of the previous. The cost of licensing photos from ShutterStock.com through our own account is included in the price of the ecard. Can all the photos in the ecard be removed? Yes. We can remove all photos from the ecard template. However, since the music used in the ecard is generally timed to the default length of the ecard template, removing the photos will make the video shorter than the music and may result in the video ending before the music does. Our system does automatically fade music out at the end of the video. Which stock photography sites do you support? We support Shutterstock.com. The cost of licensing photos from Shutterstock.com is included in the price of the e-card when licenses through our own account. We cannot reimburse clients for any costs associated with licensing images via their own accounts. Can the text in the ecard be changed? Yes. You can change the text within the limits of the template. Each text slide has two lines – a top one with larger font and a bottom one with smaller font. While the top line can have up to 40 characters and the bottom up to 50 characters, you need to ensure each line of your text closely matches the same line and number of characters in the template you select. This will ensure timing between the audio and video remains intact. Can the colors in the ecard be changed? Unfortunately not. The colors are not a customizable aspect of the ecard. Can the music in the ecard be changed? Yes. We can change the music in one template to the music in another template. Since music style and length varies from template-to-template, some music may not work well or not be available to certain templates. Can the page background graphics be changed? Unfortunately not. The page background graphics (whether a solid color or image based) is a non-customizable aspect of the ecard. Can the speed or length of the ecard be changed? We can reduce the length of the ecard by removing photos and/or text. However, by doing this, the ecard’s video may become shorter than its music, resulting in the ecard ending before the music does. Our system does automatically fade music out at the end of the video. We cannot speed up animations or transitions as this aspect is dynamically calculated and directly controlled by our system when creating your ecard, not us. Can more than one language be used within the same E-Card? Due to our ecard templates' limited amount of text and spacing available, multiple languages can only be used within the same ecard when the total amount of text stays within the requirements for the selected template. Multiple languages are best accommodated by purchasing an Additional Language Version for each language you require. Translations for each language required would be provided by you. Unfortunately, we do not provide translation services in-house. Will the ecards be viewable on iPhones and iPads? Yes. Tests we've carried out playing our ecards on iPhones and iPads running the latest version of iOS and older versions still popular were successful. Will the ecards be viewable on mobile devices? Do you have a more detailed compatibility list? Yes. The list is not exhaustive, but here are the more common web browsers we've successfully tested on. Based on differences between browsers, platforms, hardware, networks providers and local device settings, quality, performance and compatibility may vary by recipient. Last updated 2018-08-28. Our e-cards work with many older browsers and older operating systems. However, moving forward, we may discontinue supporting them due to their increasing scarcity in the market. Think of our ecards as one-page websites. A website, just like your company’s, needs to be hosted online in order for people to view it using a web browser. 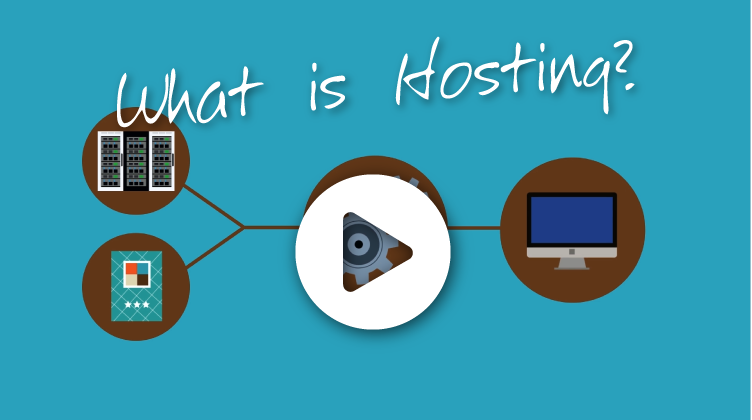 Hosting a website online simply involves copying the website’s files onto a hard drive of a special computer connected to the internet (a server). Then, you can view it using a web browser. All our ecards come with free Temporary Ecard Hosting for up to 5000 recipients. Why is ecard hosting temporary? Once the occasion or term the ecard was intended for has passed, ecard hosting is no longer needed. At that point, ecards are removed from our servers to free-up resources. For holiday ecards, hosting remains active for about 4-weeks after the holiday has passed. Can I host the ecard on my website? Yes. At the end of your project, we'll provide the files you'll need. If, for some technical reason, your server cannot effectively host the ecard, we can provide you with a special file to place on your server that makes it look like the ecard is being hosted on your site, when really, it’s on ours. All our ecards come with free Temporary Ecard Hosting for up to 5000 recipients. Please note that we do not provide high-level IT support for hosting our ecards outside our own servers. Will the ecard work when hosted on my server? That depends. Our ecards use today’s common web technologies and have no special server requirements outside of being able to serve video – which is standard configuration with web servers. That being said, your IT Team or Webmaster may have established some unique configurations that may or may not affect our ecards. In the event your IT Team or Webmaster has difficulty hosting your ecard on your servers, we can provide you with a special file to place on your server that makes it look like the ecard is being hosted on your site, when really, it’s on ours. All our ecards come with free Temporary Ecard Hosting for up to 5000 recipients. Please note that we do not provide high-level IT support for hosting our ecards outside our own servers. Given the digital (or electronic) nature of ecards, they are delivered through email. Ecards are delivered using an email delivery service. Email delivery for ecards is simply the distribution (or sending) of ecards by email using email clients (e.g. Outlook, Gmail) or systems designed to send email to lists of recipients (e.g. newsletter and email marketing systems). With our ecards, delivery involves emailing your recipients an animated or non-animated graphical version of your ecard ("email graphics") with a link to view the full version viewable using their default web browser. Do you provide email graphics? Yes. For each ecard you order, you will receive delightful animated and non-animated graphical versions (email graphics) of your ecard you can embed directly into your emails. See what they look like by sending yourself a sample. Just look for the big orange "Send yourself a sample!" button below the templates. Can the ecard be embedded within an email? Yes! 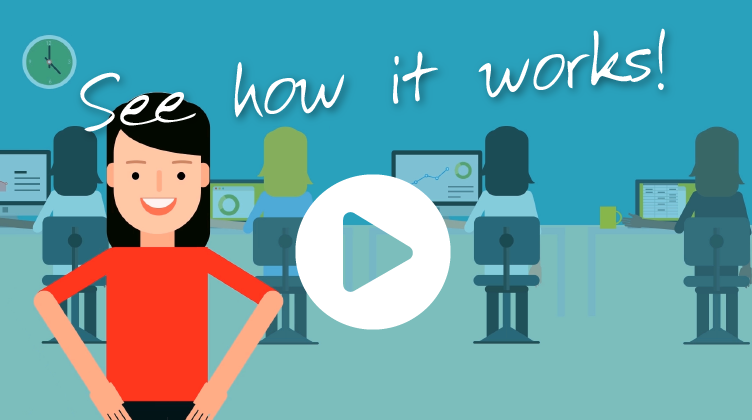 When you order an ecard from us, you also get delightful animated and non-animated graphical versions (email graphics) that can be embedded directly into your email! You’ll also get a static version too. See what they look like by sending yourself a sample. Just look for the big orange "Send yourself a sample!" button below the templates. How can I make an image clickable in an e-mail? When you order an ecard from us, you’ll get access to our HTML Email Creator. The responsive design HTML emails created from this tool automatically make email graphics clickable that link to your e-card! If you are using a traditional email client (e.g. Outlook, Apple Mail, Hotmail, AOL, Gmail, Yahoo Mail, Thunderbird, etc.) to send your e-card, the process for inserting an image and linking it to your e-card is to simply insert it into your email body; select it; then add a link to it. While this sounds easy, we can appreciate that the location of the tools to do this varies with each email client. When we seek information for this, we usually have great success searching the web for the latest how-to videos on this topic. Here’s the collection of links we use to locate resources of how to insert images and make them clickable for specific email clients: Outlook.com, Outlook, AOL Mail, Gmail, Yahoo! Mail, Apple Mail, Windows Live Desktop, Thunderbird, Lotus Notes. Do you provide delivery services for sending the ecard? Each e-mail sent from our system has a special e-mail address inserted into the ‘return-path’ of the e-mail’s headers. This address is hidden from the recipient. The return-path tells mail servers that any bounces should be sent to us. When we receive bounces, they are processed by our system and statistics associated with them are viewable from the tracking link you'll receive once your E-Card Delivery Services are complete. Although it’s safe to assume that all mail servers will send bounces to a return-path when specified, in rare instances, some may not. In this event, the bounced e-mail will be sent to the sender e-mail address and will not be recorded by our system. Do you resend to bounces? No. We do not re-send to bounced e-mail addresses for a number of reasons. The main reason is that when you continually send e-mail to e-mail addresses that keep bouncing, it affects your sending reputation with ISPs. A clean list will have a bounce rate less than 5%. A well maintained list will have a bounce rate less than 0.5%. Where do "Out-of-the-office" notices go? Out-of-the-office notices (or, "OOTOs") will go to the Sender Email Address - even if there is a Reply-to Email Address specified. Unfortunately, this behavior is controlled by ISPs, not us. What type of statistics can I view with your delivery service? You'll be able to view: the total successful e-mails sent; the number of opens/reads; the links clicked; how many times a link was clicked; who clicked a link and what link; bounces; and more. Most of the data can be exported. The statistics are only available after your E-Card Delivery Services have been completed. At which point, we send you a Tracking URL to view the live statistics. The statistics feature is dependent on the recipient allowing images to visible in the e-mail. Most recipients will allow this, but there may be some that don’t. For those who don’t, we cannot fully track their e-mails. Do you have a list of preferred email delivery service providers? Yes. Have a look at our preferred email delivery service providers list. Please note that we do not provide technical support for any of these providers' services. They have great documentation and their own support teams ready to assist you. Do you provide translations for Additional Language Versions of my ecard? Unfortunately we do not have the in-house capabilities for this. We recommend you contact the persons in your company who read & write the languages you require and ask them to translate your ecard’s text. This will ensure the translations are accurate for your audiences and your company's requirements. It's easy! Click the 'Order' button below the ecard template or bundle you would like to order. Like this! Then, complete the order form. We first contact you to confirm receipt of your order. Next, your project manager will provide a list of materials we require (e.g. logo, photos, web address, social links, etc). Then, with your materials, we produce your ecard. We will carry out a single round of revisions with no additional charge. After production, we host your ecard on our world-class servers or you can use your own. 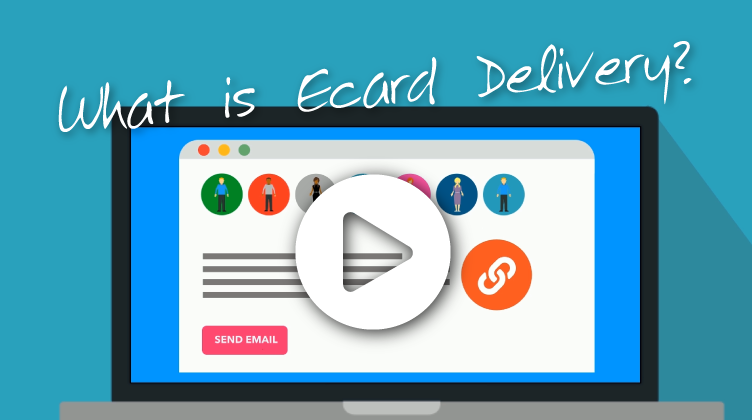 Finally, deliver your ecard to your recipients. Learn more about it here. When do you stop taking orders for the winter holiday season? We'll stop taking projects once we reach production capacity to ensure we can fill current orders in time for the holidays. Unfortunately, this will happen at any time and without notice. If you are considering ordering one of our ecards and it's getting close to the holidays, we encourage you to place your order today! Whay are your exchange rates not the same as Google or online conversion calculators? 1. It can take up to two weeks for a check to arrive in Canada from the United States. During that time there can be exchange rate fluctuations. Typically you build in a buffer in order to account for these fluctuations. 2. Most banks including ours don't offer exchange rates equal to what Google or other conversion tools say at that moment. They have different rates for different items. For us, if we deposit a check in United States dollars into a Canadian bank account, it's a different exchange rate than what's posted in Google or online. If we deposit United States cash into our Canadian account the exchange rate is different again. If we get a wire transfer in United States dollars into our account there's a different exchange rate yet again. In these instances, none of the exchange rates favor us in any way. To get the best exchange rate, we recommend clients pay online in Canadian dollars by selecting Canada as their country and using the Canadian dollar amount on the invoice. When you do that, your credit card company will give you the best exchange rate for that day. In the end, we will get the exact CAD amount we require and the client will get the best USD to CAD exchange rate for the day. Click the 'Order' button below the ecard template or bundle you want. Then, complete the order form.